Sunday, May 5 at 3 pm. Wellfleet Harbor Actors Theater (WHAT) is presenting a workshop reading of my full length play, MERIDIAN SUMMER. This is a play dear to my heart, and I’m very excited to be working with WHAT’s actors and director to revise the play and bring new life to it. The play takes place in Meridian, Mississippi, my mother’s hometown, where, in 1964, the murders of civil rights workers James Chaney, Michael Schwerner, and Andrew Goodman were planned by people determined to “preserve our way of life.” We’ll be working on the play on Friday and Saturday, and invite you to join us for the free reading on Sunday afternoon. Friday and Saturday, April 26/27 at 7:30 pm and Sunday, April 28 at 3 pm. 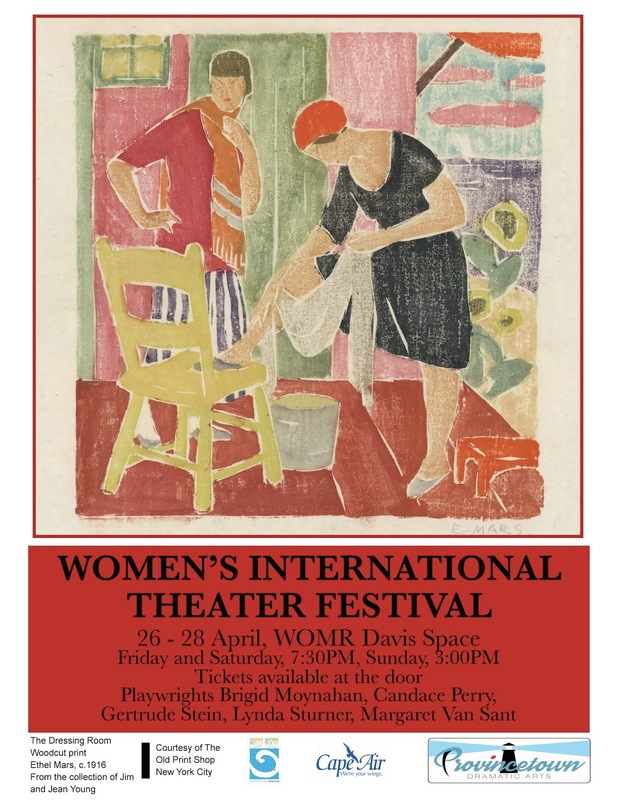 Provincetown Dramatic Arts is presenting a collection of short plays by women for their Women’s International Theater Festival. My play, “La Emergencia (The Emergency)”, was created for the 2019 24 Hour Festival and is being reprised by the terrific cast from that production. Hint: I wrote the play the day T***p declared the “emergency” at the Mexican/US border. Performances take place at the WOMR Davis Space, 494 Commercial Street in Provincetown. Tickets for the production are $15 and will be available at the door. 24 HOUR PLAYS: Up all night to write a new play! Provincetown Theater and the Provincetown Playwrights’ Lab will partner to produce the ninth annual edition of “The 24 Hour Plays.” The event, which starts being put together on Friday night, uses eight playwrights, eight directors and 24 actors to write, rehearse and present – in 24 hours – a night of eight new plays. 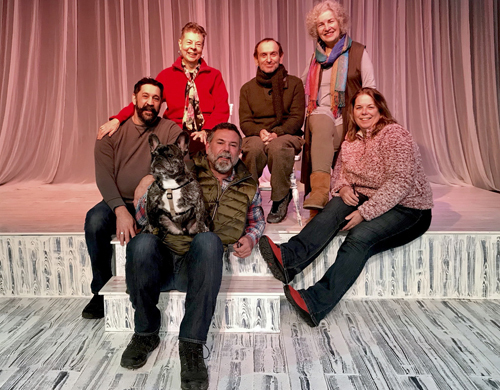 The performances will take place at the deadline of 7:30 p.m. Saturday, with an encore at 2 p.m. Sunday, at Provincetown Theater, 238 Bradford St. (Tickets: $20; provincetowntheater.org or at the box office). 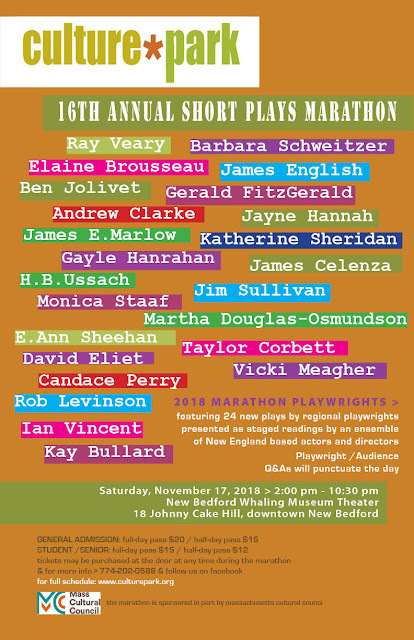 Participating playwrights will be Stephen Desroches, Brigid Moynihan, John Shuman, Candace Perry, Michael Gaucher, Judith Underwood, Dian Hamilton and Jody O’Neil. Directing their new works, with 24 area actors as well as crew members, will be Margaret Van Sant, Steven Myerson, Kate Wallace Rogers, Roger Chauvette, Bart Murell, Bob Cohen, Ron Daniels and Fermin Rojas. Frank Vasello and Nathan Butero are the show's producers. Candace Perry, Judith Underwood and Nathan Butera (with Carlo). So happy to be part of Culture*Park's 16th Marathon, New Bedford Whaling Museum Theater, November 17! New collection coming in October to W.H.A.T.! I'm happy to announce that we'll be presenting a new collection of my short work - this time 5 plays and 2 short stories - in the fall. Bob Costa will again direct, and many of our 2016 and 2017 actors will return. For the past 2 years we've had a wonderful experience presenting my collections at Wellfleet Preservation Hall to sold out audiences. Thank you all who have attended! 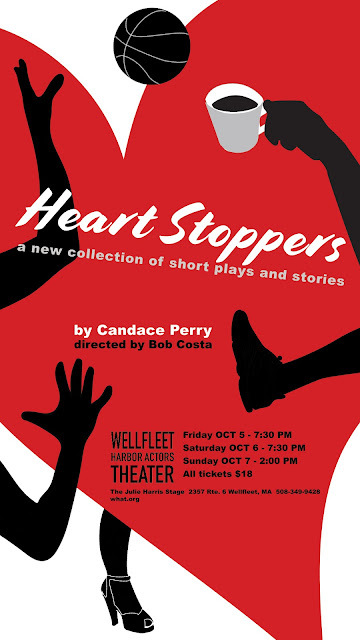 This year the Hall wasn't available until much later, so we were very happy to be welcomed by the Wellfleet Harbor Actors Theater (www.what.org) to partner with them for the use of their wonderful facility. The production will take place on Friday/Saturday, October 5/6 in the evening and on Sunday, October 7 in the afternoon. More news to come! The production is made possible with a generous grant from the Wequassett Resort and Golf Club.